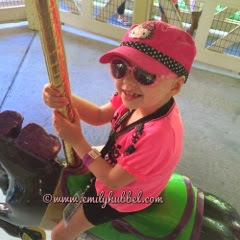 Emily is doing great! The current treatment she is on (DFMO) gives her the best quality of life! We are hoping that this treatment is getting rid of the rest of the spots she has!!! But we are happy she feels so good and has energy to enjoy the summer and play with her sisters! She deserves it. We don't have to visit the hospital as much either, her counts look great! Yeah for a treatment that gives her time away! Her hair is taking forever to grow and we are sure that is probably the dfmo! She will be going to summer school at the end of June to keep up her skills!